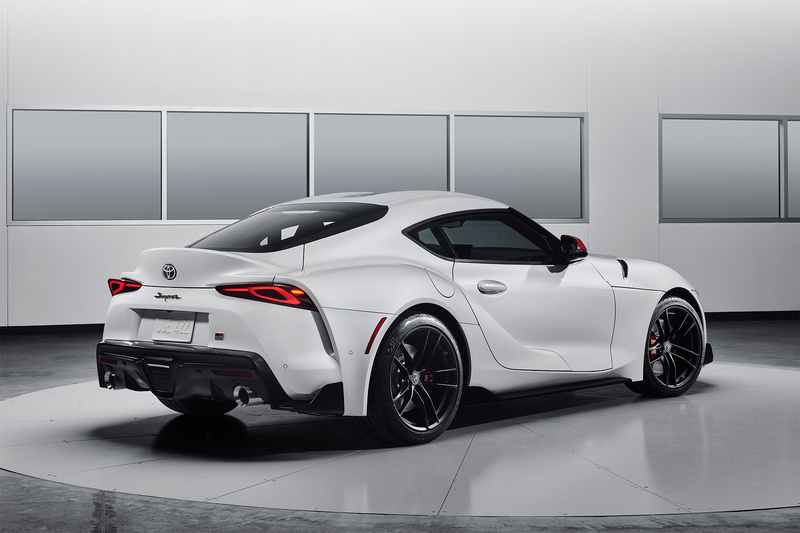 Ending a two-decade absence from the marketplace, Toyota is bringing back the Supra following its worldwide debut at the 2019 North American International Auto Show in Detroit, Michigan. Onhand for the unveiling was former Formula 1 World Champion Fernando Alonso, who won the 2018 24 Hours of Le Mans driving for Toyota. 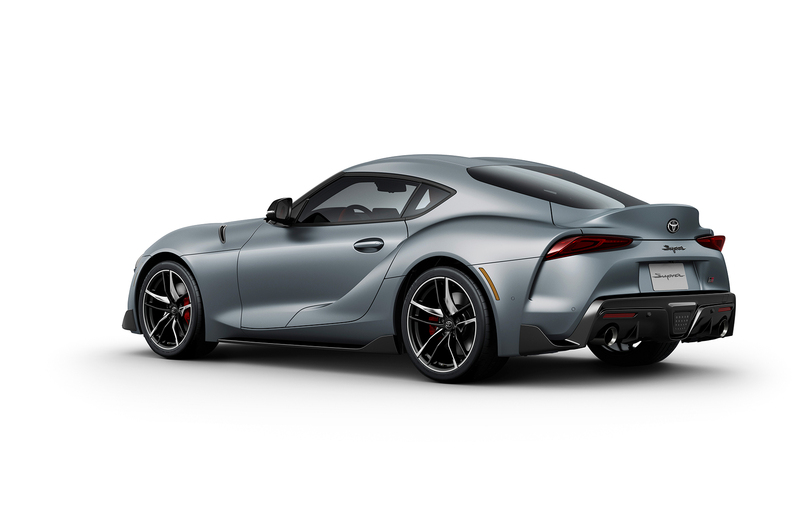 The 2020 GR Supra is the first global model developed by Toyota GAZOO Racing, the international umbrella for Toyota’s global motorsport program.The design was inspired by the Toyota FT-1 Concept car. The fifth generation Supra is a rear-wheel drive, 2-door, 2-passenger coupe. it is powered by a 3.0 litre twin-scroll turbocharged inline 6 cylinder engine. 335 hp and 365 lb-ft of torque will be sent to a quick-shifting 8-speed automatic transmission with paddle shifters. Toyota projects 0-60 mph runs of 4.1 seconds. Top track speed will be electronically limited to 250 km/h. Curb weight is 3,397 lbs. Toyota President and Master Driver Akio Toyoda tested the Supra on the Nürburgring and other race tracks to give his personal feedback as a Master Driver to ensure this new Supra would exceed enthusiasts expectations. The Supra design delivers a 50:50 weight balance while optimizing front-to-rear aerodynamic balance. Toyota’s sports car heritage is evident throughout. The double-bubble roof design recalls the Toyota 2000 GT and it reduces drag by shaving the roof centre to reduce the projected frontal area without sacrificing occupant headroom. The 2020 Supra goes on sale in summer of 2019 and will be offered in bold red, yellow, blue shades and matte gray. Other available colours include silver, white, black and dark gray. US MSRP starts at $49,990. 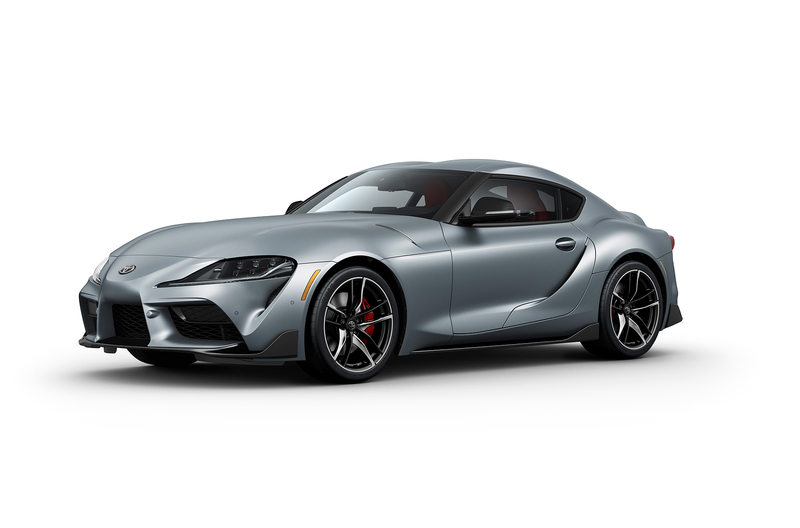 The first 2020 Supra off the production line will go to the highest bidder at the Barrett-Jackson Auction in Scottsdale, Arizona, Saturday, January 19. The 2020 Supra cockpit blends traditional GT elements with modern functionality. The low, narrow-section dash gives the driver expansive forward visibility. A high-definition colour display forms the instrument panel, projecting a large-diameter, three-dimensional meter dial. The single-metre design consolidates information necessary for performance driving, such as the tachometer and shift-timing indicator, enabling the driver to easily focus on critical control information through the small-diameter steering wheel. Toyota designers took a fresh approach to designing the centre console, giving it an asymmetrical shape that tightly envelops the driver, with a padded pillar that serves as a right leg bolster. The passenger’s side of the console is open for a roomy feel, yet also features kneepads for bolstering in corners. 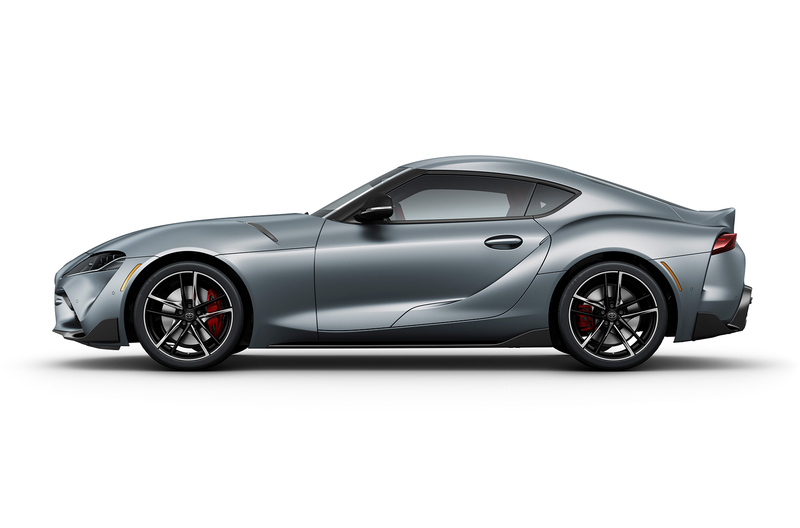 Toyota designed the 2020 Supra to be both an everyday sports car and a track car. Its sport seats feature integrated head restraints inspired by racing. The heated, leather seats use a narrow main section combined with the shoulder bolsters to firmly hold the driver and passenger. The 2020 Supra will offer two driving modes, Normal and Sport. Sport Mode provides track-driving capability by reducing intervention of the traction and stability control functions as well as sharpening throttle response, increasing steering weight, improving transmission shift crispness, more aggressive active differential tuning and amplifying exhaust sound. For performance driving enthusiasts, the Supra will have an active differential that uses an electric motor and multi-plate clutches to control lateral torque. The Supra will come standard with 19-inch forged alloy wheels fitted with 275/35R19 performance Michelin Pilot Super Sport tires in the rear and 255/35R19s up front. Braking will be courtesy of 13.7-inch front rotors held by 4-piston Brembo calipers. Standard on Supra is Adaptive Variable Suspension. This system instantly adjusts damping force in response to driver input and road conditions. Two settings for the suspension are available – Normal and Sport.